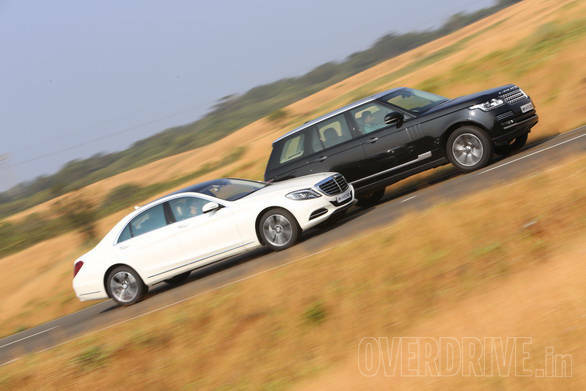 Once we were done testing the 2014 Mercedes-Benz S 500, or the S-Class, on Indian roads last month, the next logical step was to pit it against other heavyweights in the luxury class. Every 10 years Mercedes-Benz sets a benchmark for other automobiles with the S-Class, and all the rivals can do is play catch up. And when they eventually do, a new S comes out and only raises the bar further. However, competition has evolved as well over the years. This time it's not another luxury limo but an SUV that stands in the Merc's way. It's an SUV that can go off-road and at the same time spoil you with some serious opulence. 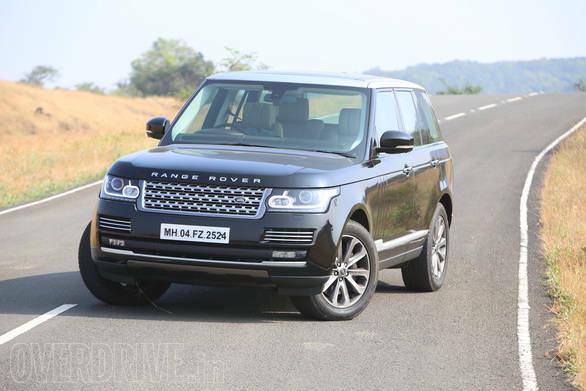 Say hello to the Land Rover's Range Rover Autobiography. The SUV has proven that luxury is not just the domain of cars. But can it hold its own against the S-Class  the best car in the world? Let's find out. The first thing one will notice is how long these vehicles are. 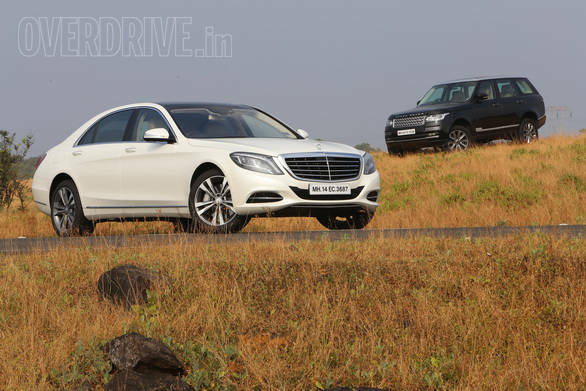 In fact, the Mercedes-Benz S 500 for India is the long wheelbase variant that measures more than 5.2 metres in length. The long wheelbase Range Rover hasn't, however, launched in India yet but the SUV you see here is still over 5 metres long. While both are machines that make a strong statement, the overall design is simple. Compared to their predecessors, the new models are more elegant, less loud and still very stylish. One look at the S-Class and you know it's the flagship Mercedes. The front end is dominated by a huge grille and LED headlamps that give it a typical new age Mercedes look, while the sides feature smooth and clean lines. The rear end is unlike any other Mercedes and the tail lamp seems to be inspired by the Maybach. The RR, on the other hand, takes forward the classic silhouette of the previous generation models, while still looking very current. The headlamps are sleek and the trademark side vents are still present. The tail also follows a minimalist theme, while the wraparound taillamps look the part. So both the S-Class and RR are very elegant to look at, but all that changes when one steps inside. 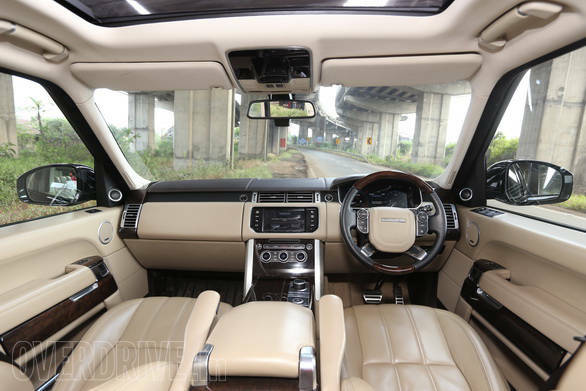 The Range Rover is one of the most luxurious SUVs available today, the combination of leather and wood with superb build does feel rich but it doesn't feel as special as the Mercedes. The S cabin is arguably the best in its class by a huge margin. Step out of the RR and into the Mercedes and one can immediately see and feel that difference. The Mercedes instrument cluster and infotainment display merge and offer a really wide screen that boasts a resolution never heard of in an automobile. The S cabin is arguably the best in its class by a huge margin. Step out of the RR and into the Mercedes and one can immediately see and feel that difference. The Range Rover in comparison offers a tiny infotainment display that now looks dated and offers lesser features. The twin spoke steering wheel is unique and looks like it's floating, while the Mercedes-Benz detailing on the wheel adds to that premium feel. 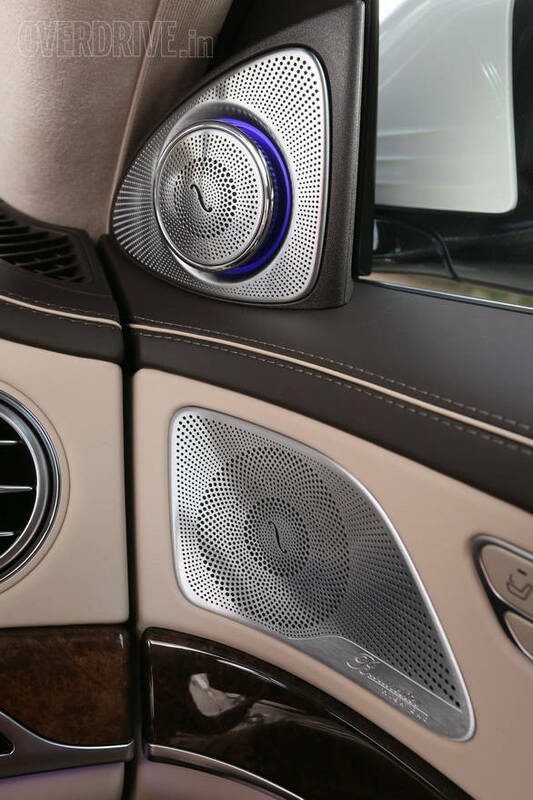 The Burmester audio features 24 speakers and is very high-end. Turn it on and the tweeters mounted near the A-pillar don't just lift up but actually rotate out, making it the perfect party trick. Then there is comfort, a factor that is very important in determining who's best. The S 500 comes with standard chauffeur package which allows the rear passengers to adjust the front seat and move it forward. One can move the front passenger seat all the way, the headrest folds and a footrest slides out of the front seat. You can then stretch your legs and relax like in a business class flight and even get a massage if needed. If you are in the mood to work, both rear seats offers large foldable tables that pop out from the centre. The Range Rover in comparison offers lesser room ? in fact, even executive cars offer more leg room ? and the seats don't feature a massage option or recline as much. 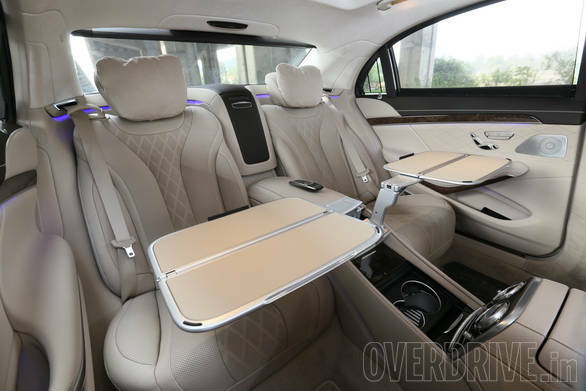 The seats are definitely comfortable and offer good support but one can't lounge in it like the Mercedes. In terms of practicality, the Range Rover offers a massive 900-litre boot, that's 400 more than the Mercedes. But remember, the S-Class is primarily a luxury car and not a family ferrying vehicle. 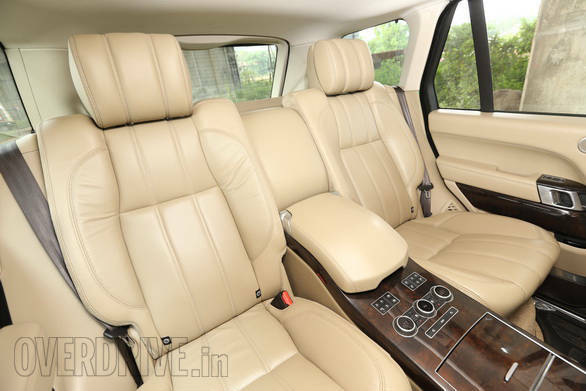 The Range Rover seats are definitely comfortable and offer good support but one can't lounge in it like the Mercedes. In terms of ride quality, both cars offer adaptive air suspension so damping is impressive. The Range Rover features an auto mode so depending on the terrain and speed, the suspension automatically chooses the ideal setting. It absorbs potholes with ease and when the road gets smooth, it feels more like one is seated in a luxury car than in an SUV. The Airmatic suspension in the S-Class offers two modes ? Comfort and Sport. In Comfort mode, the suspension softens up and ride quality is the best you will ever come across, especially when chauffeur driven in town. At corners, there is evident body roll and as speeds increase one feels the need for more composure and stability. This is where the Sport mode comes into play, it offers a stiffer ride and in turn better handling but then since the car is a luxury limo, the ride is still quite plush and focuses more in offering passenger comfort. The S-Class is great to drive but it is best chauffeur driven, unlike the RR that loves to be piloted. Despite the higher stance, the SUV feels solid and planted at all times. It isn't a vehicle that focuses purely on dynamics but straight line stability is impressive and actually confidence inspiring. There is body roll, but it is controlled and never a concern. However, there is one capability the RR boasts that the Merc wouldn't ever dream doing ? off-roading. The SUV has always excelled off the road and in its newer generation, its abilities have only improved. The automatic terrain selector automatically decides the ride height and four-wheel drive mode based on the outside conditions. One can tame almost any terrain and at the same time get pampered with luxury. But then majority of RR owners hardly even go off-road and actually choose the SUV more for presence than ability. The S 500 features a V8 petrol while the RR here has a V8 diesel. The latter is also available with a petrol V8, while the Mercedes will be offered in a more affordable diesel variant later this year. However, let's see how the two cars we have today, compare against each other. The 4.6-litre unit in the S-Class puts out 460PS of max power and 700Nm of torque. 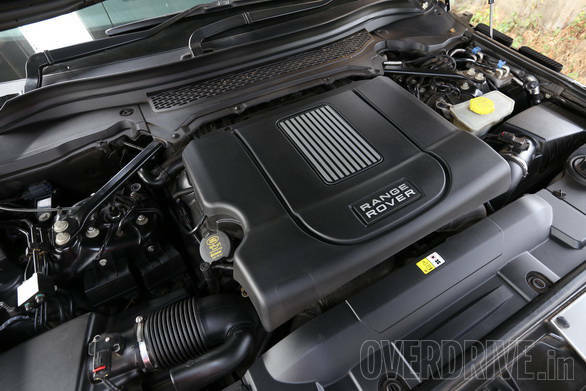 The Range Rover diesel meanwhile produces a lower 339PS of max power but identical torque. The Mercedes is the quicker of the two and even feels noticeably quicker, the ton comes up in just 5.7 seconds and the car still returns an overall fuel efficiency of 7.6kmpl. The RR is slower but low end torque and the surge in power is tank like while running cost is much lower. So let's come back to where we began, is the Mercedes-Benz the best car in the world? The answer is yes. It's the ultimate expression of on road motoring and is not just the best in class but even offers more than a few cars that are more exclusive. All this at a price of Rs 1.57 crore, ex-Delhi. The Range Rover is definitely the ultimate luxury SUV and can go places the S can't but it comes at a price. 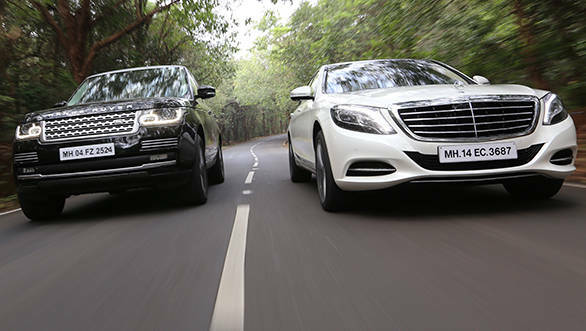 The SUV costs about 70 per cent more than the previous generation model and costs about Rs 70 lakh more than the S 500. The Mercedes suddenly seems like a value buy and with the diesel variant expected to be priced much lower, it's time for competition to play catch up.